South Africa’s marathon man on the court starts his campaign with a gruelling five-set duel already. 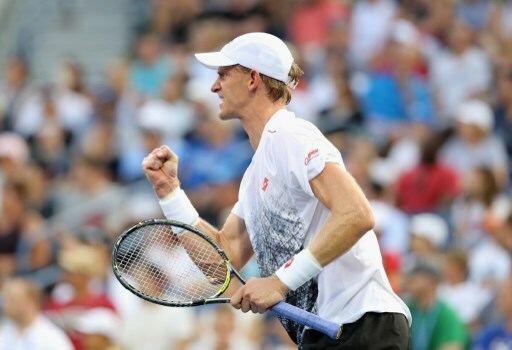 Kevin Anderson’s reputation as world tennis’ marathon man continued to be reinforced following a tough, grinding 7-6 5-7 4-6 6-3 6-4 over the USA’s Ryan Harrison in the first round of the US Open on Tuesday morning (SA time). After shading a first set tie-break, the 32-year-old stumbled as his enthusiastic opponent opponent roared back to win the next two sets. But Anderson played to his strengths, smashing 28 aces while also showing off his newfound versatility with a substantial amount of delightful winners. He certainly isn’t just a big server anymore. Anderson will play Frenchman Jeremy Chardy on Wednesday, a man he recently defeated in straight sets in Cincinnati. Young prodigy Lloyd Harris’ first appearance at Flushing Meadows ended in disappointment as he lost 6-2 6-2 and 6-3 to the experienced Gilles Simon.